Holy smokes! Time not only flies raising babies, but also with football seasons! Yesterday was the first football practice of the season, and Miss Landri made her media debut earlier than ever this year in this article! It seems like every year since Scott has been the head coach, she’s been mentioned at least once on TV or radio each season which is neat because she LOVES football so much! Remember, you can always catch Steele Knight football updates on my blog under the Football Category. 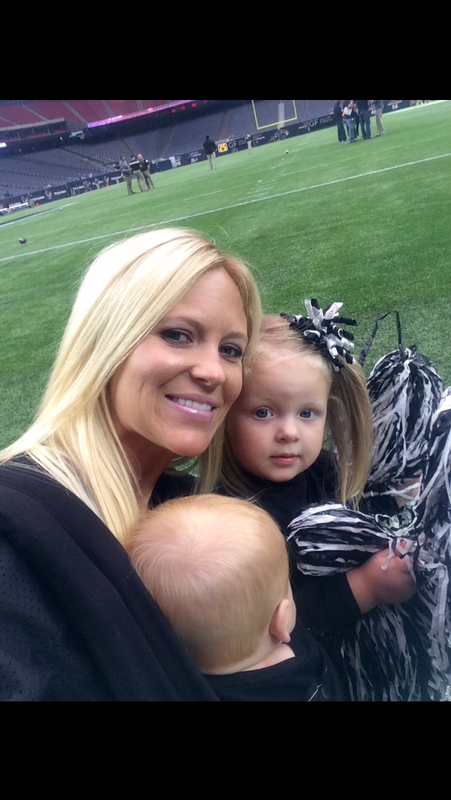 Here’s a picture of me and the kids at the last game of the 2014 season (pregnant with Ty Baby). Next Post 17 months: Crackin’ Skulls, Words & More!